The LeMetric Hair Design Studio / Health / Support CAP this Saturday! This Saturday, we invite you our Holiday Party from 12pm to 4pm. 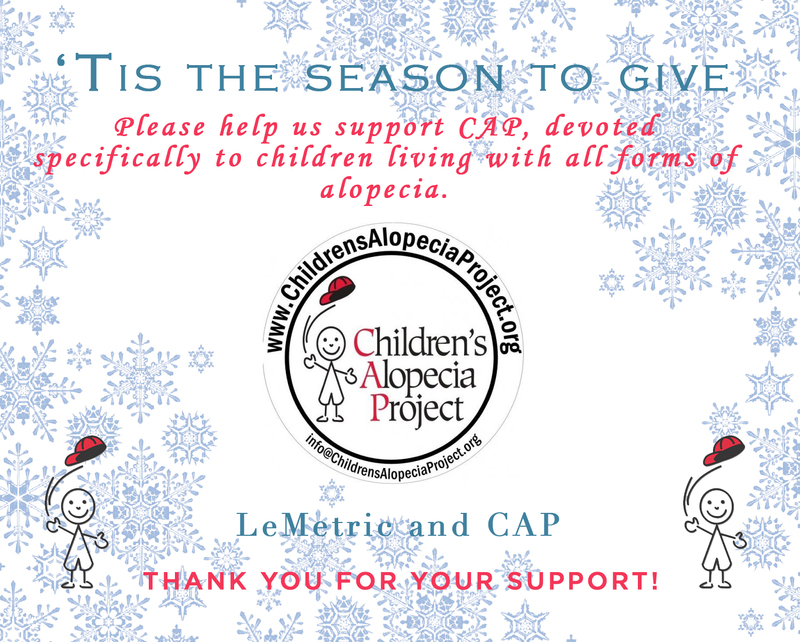 What makes this time around unique is we are taking this opportunity to fund raise for the Children’s Alopecia Project – an organization I find very dear to my heart. In an earlier post, I mentioned I want to take more time to help children who are dealing with Alopecia because I remember still today what it felt like as an adolescent. I hope you will find it in your hearts to contribute just a little to help these brake kids!